Seventy years ago, President Harry Truman’s administration initiated an international system of political, economic, and security institutions and agreements seeking peace, security, prosperity, and human rights as Americans conceived them. It was led by Washington and supported by partnerships with allies around the world, and especially in NATO. Successive administrations gave the policy concrete effect, with differences of emphasis. President Donald Trump challenged that system, with mixed reactions. One supporter, Randall Schweller of The Ohio State University, wrote in Foreign Affairs magazine: “Questioning the very fabric of international cooperation, he has assaulted the world trading system, reduced funding for the UN, denounced NATO, threatened to end multilateral trade agreements, called for Russia’s readmission to the G-7, and scoffed at attempts to address global challenges such as climate change. … These policies should be welcomed, not feared. Herrmann is Arts and Sciences Distinguished Professor and Chair of the Political Science Department at The Ohio State University. From 2001-2011, he was the director of the Mershon Center for International Security Studies also at Ohio State. He has written widely on politics in the Middle East, international security and American foreign policy. 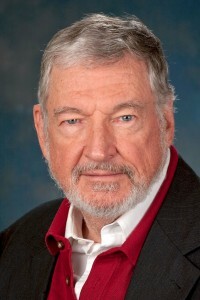 From 1989 to 1991, Dr. Herrmann served on Secretary of State James Baker’s Policy Planning Staff at the U.S. Department of State, and from 1991-1996, he served as coeditor of International Studies Quarterly, the flagship journal of the International Studies Association. Dr. Herrmann has been a frequent visitor to the Middle East, lecturing and conducting research in Israel and the West Bank, as well as in Egypt, Iraq, Jordan, Kuwait, Saudi Arabia, Syria and the United Arab Emirates. Dr. Herrmann’s research has appeared in leading academic journals such as the American Political Science Review, International Organization, World Politics. International Security and the Journal of Conflict Resolution. 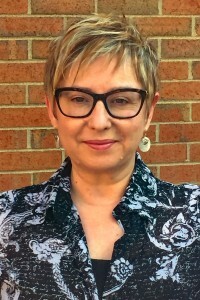 Çalişkan earned a Ph.D. in political science from Boston University in 2018 with minors in computer science and statistics; an M.A. in international relations from Koç University, Istanbul, Turkey; and a B.A. at Brandeis University. He came to Ohio Wesleyan in the fall 2018, teaching data visualization, introduction to data analytics, and introduction to statistics. His courses fulfil requirements in the inter-departmental Data Analytics major. Çalişkan’s dissertation focused on the flow of money and interests in American and Scandinavian policymaking by bringing aspects of policy choices, political connections and societal perceptions together. Research interests include computational social science, renewable energy, social media, U.S. Congress and networks of lobbying. 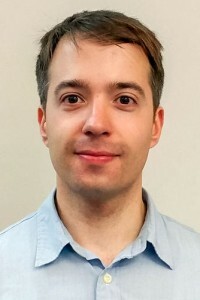 He has presented his research at various conferences and events including the American Political Science Association, the Midwest Political Science Association, Political Networks, Boston University Data Science Day and Microsoft Research New England Machine Learning Day. 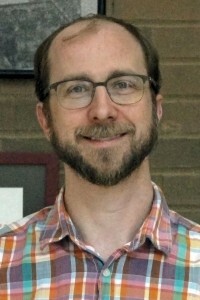 Thompson, who earned his Ph.D. at the University of Chicago, has research and teaching interests in the area of international relations, with a particular emphasis on the politics of international organizations and law. He addresses the question of why states create and how they design institutions at the international level. 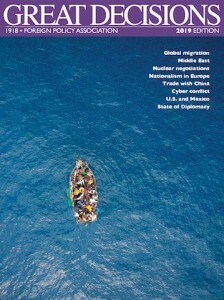 Recent projects focus on the evolution of the global climate regime, the negotiation and ratification of international investment agreements, legalization in the world trade, the politics of multilateral weapons inspections, the determinants of international organization performance, the enforcement of international law, and the question of unilateralism versus multilateralism in U.S. foreign policy. 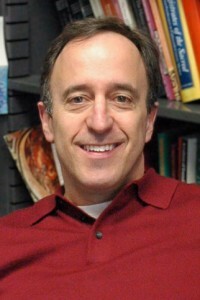 He has published in various journals, including International Organization, International Studies Quarterly, the Journal of Conflict Resolution, the Journal of Legal Studies, the European Journal of International Relations, the Review of International Organizations, Climatic Change, International Theory, and the Policy Studies Journal. His book, Channels of Power: The UN Security Council and U.S. Statecraft in Iraq, won two awards. Thompson enjoys teaching and has been honored with two teaching awards at OSU. Kasvin started her career in refugee resettlement 24 years ago when she came to the United States as a refugee from Ukraine. In 2003, she co-founded US Together, Inc., a state-wide organization providing refugee and immigrant integration and resettlement services. During her career, Kasvin has been involved in advocating on behalf of the refugee and immigrant population. She has an extensive experience in developing and presenting various cross-cultural and cultural sensitivity programs, and has worked extensively to establish integration programing for numerous constituencies. Currently, US Together has operations in Columbus, Cleveland and Toledo and resettles up to 1,300 refugees a year. In 2015, Kasvin was honored as a White House Champion of Change for World Refugees. McKean is a political theorist whose research concerns global justice, populism and the relationship between theory and practice. His academic research has been published in the American Political Science Review, Political Theory and the Journal of Politics. His writing for popular audiences has appeared in the Washington Post, the Los Angeles Times, Democracy Journal and Jacobin Magazine. His manuscript “Disposed to Justice” argues that people subject to unjust institutions and practices should be disposed to solidarity with others who are also subject to them, even when those relations cross state borders. He is at work on a second book project tentatively titled “Political Freedom and Resentment” about the relationship between democracy and populism. 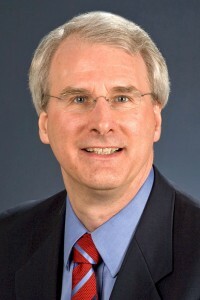 Before coming to Ohio State, he received his Ph.D. from the Princeton University Department of Politics and was a Harper-Schmidt Fellow in the Society of Fellows in the Liberal Arts at the University of Chicago. 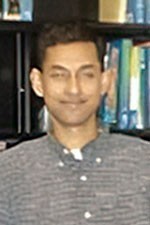 Rahman earned his Ph.D. from the University of North Carolina. His primary interests lie in the areas of economic development, international trade and policy reform. He takes a micro-theoretic approach in his research, using game theory and general equilibrium analysis to explore topics ranging from neoclassical specialization to the political economy of policy reform. His current teaching areas include economic systems, economic development and microeconomics. Rahman published “Foreign Direct Investment and Economic Growth in Asia” in the Indian Journal of Economics and Business with Dharmendra Dhakal and Kamal P. Upadhyaya. He came to Ohio Wesleyan from Agnes Scott College, where he was a recipient of the Student Senate Annual Faculty Award for teaching excellence. 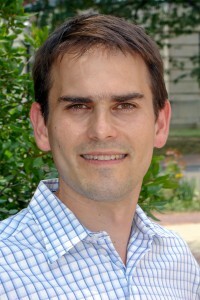 Baskes earned his Ph.D. from the University of Chicago and is a specialist in the colonial economic history of Mexico. He offers the department’s courses on the history of Latin America from ancient times to the present. He is author of the book Indians, Merchants and Markets: A Reinterpretation of the Repartimiento and Spanish Indian Economic Relations in Late Colonial Oaxaca, Mexico, 1750–1821 (Stanford University Press, 2000), which examines the economic and social relations of Spaniards and indigenous Mexicans in the late eighteenth century. Stanford University Press also published his second book, Staying Afloat: Trade and Uncertainty in Spanish Atlantic World Trade, 1760–1820. Released in summer 2013, this monograph is an examination of Spanish imperial trade and the ways in which merchants addressed endemic risk and uncertainty in transatlantic commerce. The Community is invited to join these Great Decisions discussions. Meetings are at noon in the Fellowship Hall of William Street United Methodist Church, 28 W. William St., Delaware. Attendees are welcome to bring a brown-bag lunch. Complimentary coffee and tea will be provided. Learn more at www.facebook.com/greatdecisionsdeloh. Following each discussion, participants will have the option of completing a survey, prepared by the Foreign Policy Association, to add their opinions to thousands of others across the nation. Survey results will be sent to executive and legislative policymakers in Washington, D.C., so that our voices as a community of informed citizens will be heard by federal decision-makers. Grateful thanks to the following local organizations for their generous and continuing support: the American Association of University Women, Kiwanis, the League of Women Voters, the International Studies Program at Ohio Wesleyan University, William Street United Methodist Church, Willow Brook Christian Communities, Anchor and Away Travel, and private donors. The Great Decisions Discussion Program, a free community discussion series, is designed to encourage debate and discussion of the role of the United States in world affairs. The program provides materials that help people reach informed opinions on issues and encourages them to participate in the foreign-policy process. Developed by the Foreign Policy Association (FPA) in 1954, the Great Decisions Discussion Program is the longest-standing and largest grassroots world affairs educational program of its kind. It is the core of FPA’s civic education outreach efforts, bringing millions of Americans together in communities across the country to discover, discuss, and decide their opinions on foreign policy issues. The Foreign Policy Association is a nonprofit organization dedicated to inspiring the American public to learn more about the world. Founded in 1918, FPA provides independent publications, programs, and forums to increase public awareness of, and foster popular participation in, matters relating to those policy issues.